EI Associates was retained by First Solar to perform an Energy Usage Analysis and recommendations for proposed HVAC systems to cool a photovoltaic system inverter building. The inverters take the DC power provided by the solar panels and convert it into AC power. 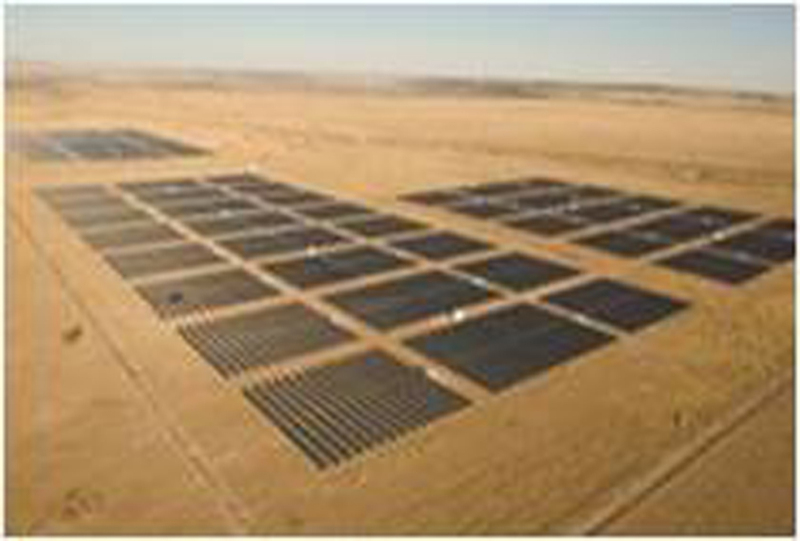 The installation comprises a 2MW array located outside of Boulder City, Nevada. Temperature swings are extreme at this location and provided a unique challenge. *Inverter based on Xantrex 500 KW inverter technical information. 60,000 MBTUH per inverter as waste heat, 2 inverters per building. Inverter fans are 3,500 CFM each. Environmental conditions require that air enter ant 104F (40C) and would correspond to a exit temperature of 115F. Calculations will be performed at maximum room temperature conditions of 75F, 95F, and 104F. *If temperature requirements exceed recommended maximum the inverter will turn itself off, no output. *Weather design conditions are115F (5 year event), 117F(10 year event), 119F (20 year event), and 121F(50 year event). 117F will be the basis of calculations. *Inverters require a low dust environment. Filtration required. *The solar panels output decreases as outside air temperature increases. During July and August the output may fall to 80% of maximum as peak outdoor air temperatures are reached. Our analysis was based on 100% output with no decrease. *Inverter output will vary during the day based on sun position. Our analysis considered various mechanical equipment selections, including various efficiencies, as well as water versus air-cooled equipment.